LOCATION, LOCATION, LOCATION! 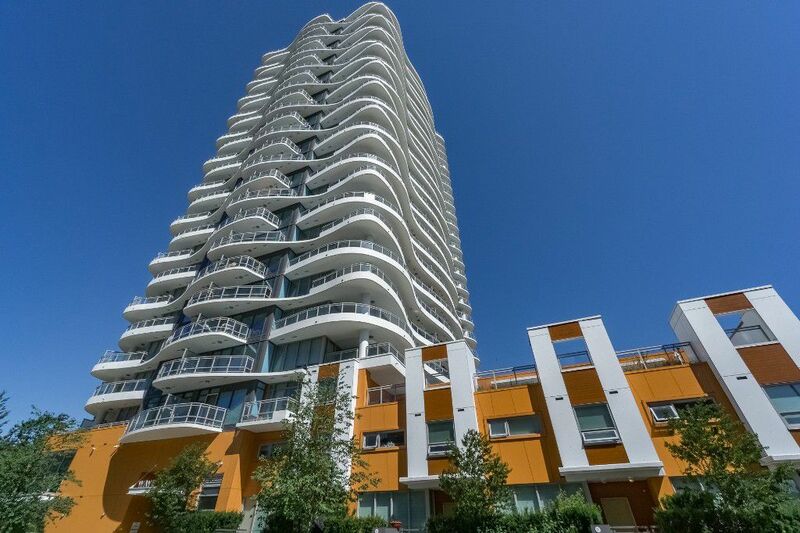 Fantastic opportunity to own/invest in the architecturally stunning WAVE highrise in the heart of Surrey Central. Enjoy living in this IMPRESSIVE 2 Bedroom 2 Bath + Den Condo with glorious SE Corner exposure overlooking an inviting Wraparound deck ready for outdoor entertaining and view of Mt. Baker. Bright open concept floor plan with wall-to-wall windows. Freshly painted walls/ceiling & most blinds replaced! Facilities include rooftop terrace, party room, gym, car & pet grooming areas, bike maintenance room & workshop. 82/100 Walkscore. Steps to Skytrain, Rec Centre, SFU, Library, City Hall & Shopping. Safe & Secure Blg. Rentals Allowed - PRIME HUB gets $1600/mo. Move in ready! Quick possession possible. This home shows 10+.